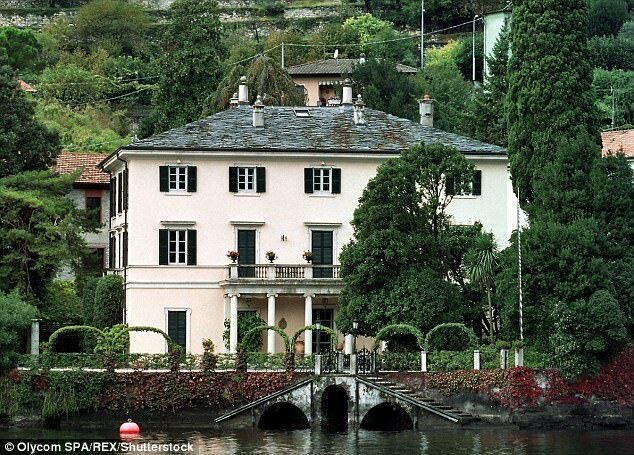 In the past George Clooney has thrown festive parties at his Lake Como estate in Italy for friends such as Brad Pitt, Jennifer Aniston and Julia Roberts. 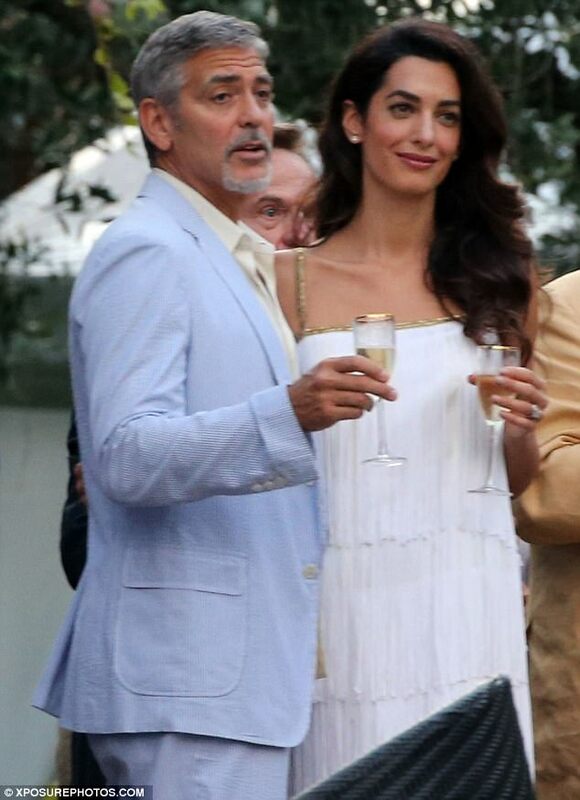 According to People, the 56-year-old actor and his 39-year-old wife Amal are calling their nights early because they have new twins Ella and Alexander, born in June, with them on their summer vacation. 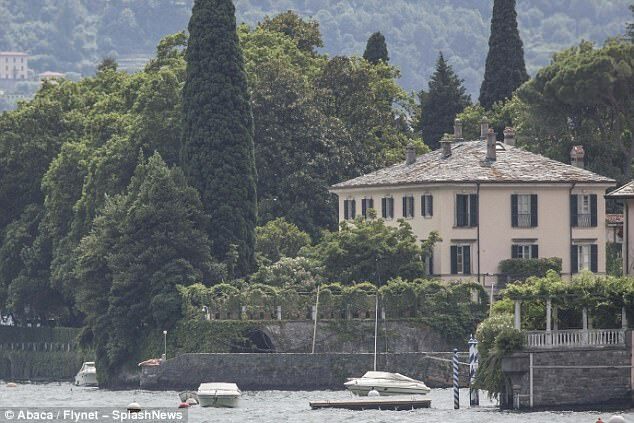 The site has claimed the two spend most of their time inside George's dreamy Italian villa. 'The babies keep them very busy, but they both seem to love being parents,' said a source. Sources added they have been having pasta dinner with friends and are enjoying the lake. And when they do go out, they don't make it a long night. After dining at Il Gatto Nero last week, the power couple left early. They were also seen having a meal with his pal Ben Weiss at Villa d'Este Cernobbio. 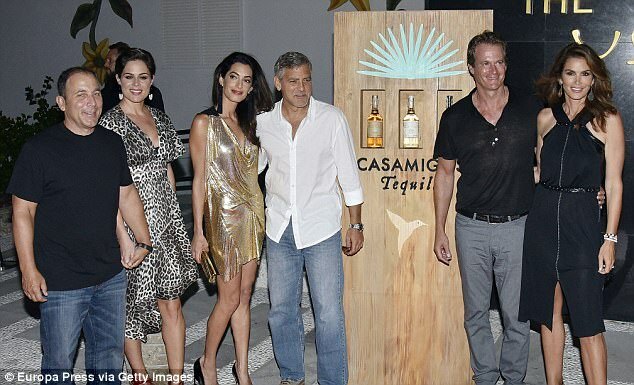 A source said they were 'cuddly' and the Ocean's Eleven actor had his arm around the stunning lawyer most of the night. She looked slender in a lovely yellow dress with heels, clearly having lost all the baby weight. And George looked like a proud husband. Before they went to Italy for the summer, they were spending time at their English mansion, which he purchased in 2014 after they wed in Venice, Italy. His last film was Money Monster in 2016 with Julia Roberts. Nothing new here. But interesting that the piece was next to Beyoncé's announcement that she'd hired SIX nannies for her twins!! Six, eh? Well, I think she's a lot busier than Amal and now has three children, right? Nannies need sleep and time off too, so six kind of makes sense to me with the sort of lives that they must lead. Is that, is that . . . a seersucker suit??? 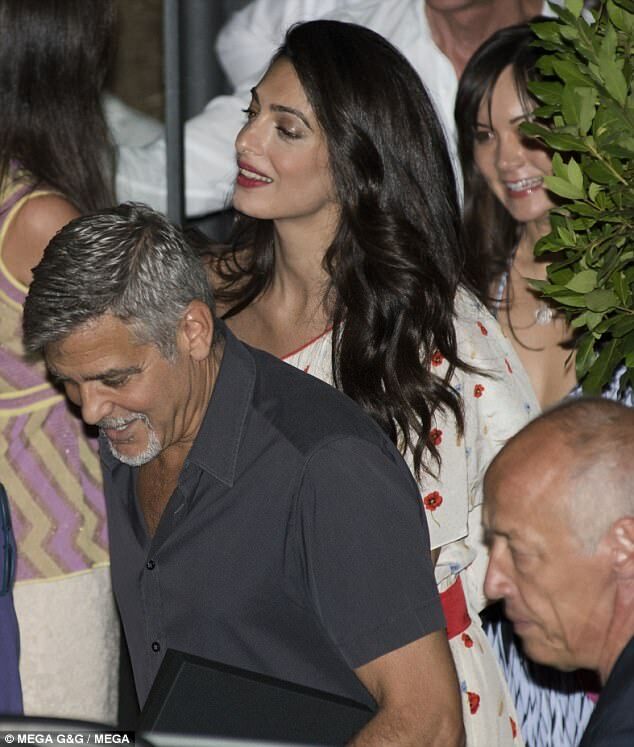 Katie that pic of George in the blue suit was from last summer when he and Amal were at a Armenian fundraiser function in Como. Yea, that suit got a fair amount of dissing on COH. Beyonce didn't announce anything U.S magazine quoted a source . yep a few people hated that suit. PS- I like seersucker suits- very retro.